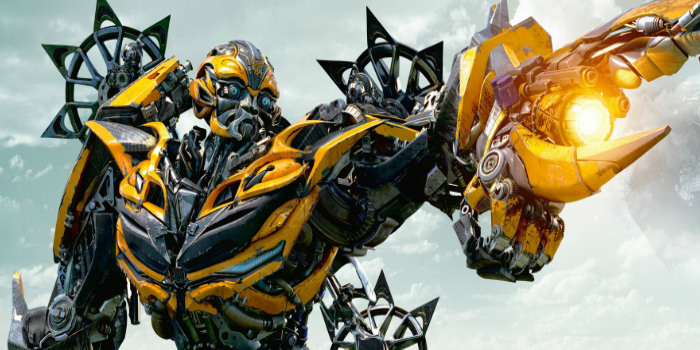 Not only has Paramount drawn up plans for a Bumblebee-centric spinoff – Kubo and the Two Strings director Travis Knight has been appointed at the helm of that one – in 2018, but with a staggering 14 Transformers pitches reportedly doing the rounds, the franchise isn’t going anywhere anytime soon. The only question left now is whether Michael Bay will pull another U-turn in order to dabble in the TF universe once again. Stay tuned for more on that one, but in the meantime, we’ve got yet another TV spot for you to feast your eyes on today. Seen above, it gives us some brand new footage from the upcoming sequel, with fan-favorite Bumblebee taking the spotlight as he shows off a couple new tricks while saving the day by dealing with some enemies who were after Mark Wahlberg’s Cade Yeager. It’s brief, and doesn’t reveal anything plot-wise, but it teases another exciting Bay action sequence, which will surely be just one of many in the film. Casting-wise, Paramount have recruited a who’s who of A-list talent for The Last Knight, including Hollywood’s bankable supporting star John Goodman – he’s back in the booth to voice Hound, the hulking Autobot and healer – alongside the returning Tyrese Gibson and Josh Duhamel. There’s also room in the film’s ranks for Anthony Hopkins, Stanley Tucci, Jerrod Carmichael, Laura Haddock and Isabela Moner as the street-smart tomboy, Izabella.